HOLLYWOOD—Feb. 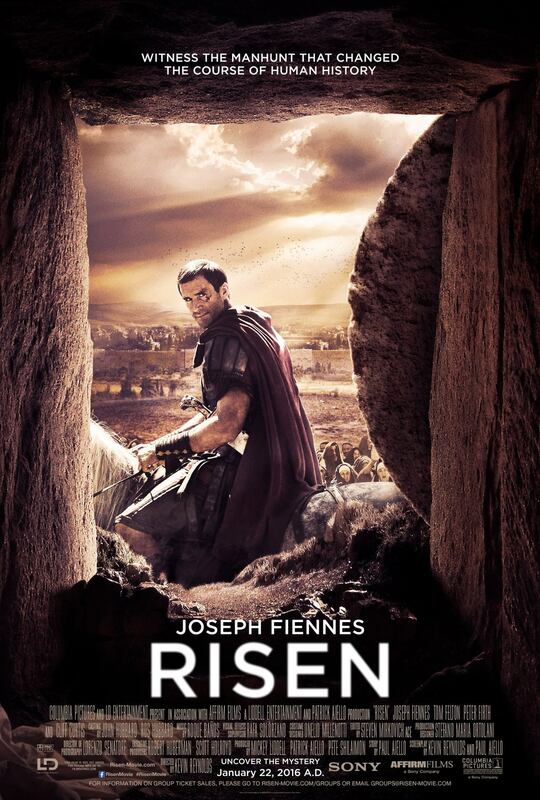 25, 2016—Motion picture audiences across the country have embraced the latest faith-based hit from Sony Pictures Entertainment’s AFFIRM label: RISEN, the story of a Roman tribune’s investigation to prove the Resurrection a hoax, emerged as the weekend’s number-one new movie and the fourth-highest opening of all time for a faith-based film, scoring an A- CinemaScore and exceeding industry predictions. From Columbia Pictures and LD Entertainment, RISEN’s three-day box office win of $11.8 million on 2,915 screens signals another win for AFFIRM. Sony Pictures now claims four of the top six faith-based-film opening weekends of all time, five of the top seven faith movies in the last five years, and five of the top-ten-grossing films in the genre in industry history. The success of RISEN follows on the breakthrough hit WAR ROOM, which Sony Pictures/AFFIRM released last summer. That film opened to $11.3 million and went on to take in $67.8 million at the domestic box office before beginning an incredibly successful run on home entertainment. Bruer, along with AFFIRM’s SVP Rich Peluso, expect audience momentum to continue through the four weekends leading to Easter. Starring Joseph Fiennes (Shakespeare in Love), Tom Felton (Harry Potter), Cliff Curtis (Fear the Walking Dead) and Maria Botto (Soldiers of Salamina), RISEN, which opens with Jesus’ Crucifixion and views the days after through a battle-hardened and skeptical Roman tribune, opens a fresh perspective on a world-shaping story. Columbia Pictures and LD Entertainment present in association with AFFIRM Films, a Liddell Entertainment and Patrick Aiello production, RISEN, directed by Kevin Reynolds. Screenplay by Kevin Reynolds and Paul Aiello, and story by Paul Aiello. Mickey Liddell, Patrick Aiello, and Pete Shilaimon produced. Executive producers are Robert Huberman and Scott Holroyd. Film was financed by LD Entertainment. From international media to blogs to twitter, filmgoers are waving thumbs up. “It’s a miracle! Hollywood finally tells a great Bible story,” Fox News headlined. “Why Risen is One of My All-Time Favorite Movies,” Dr. Jim Denisen, a widely read blogger, titled his entry.